Glenwillow, Ohio – September 28, 2018 | GED continues to lead the industry by introducing the RoboSeal™ Gas Fill • Close • Seal system. 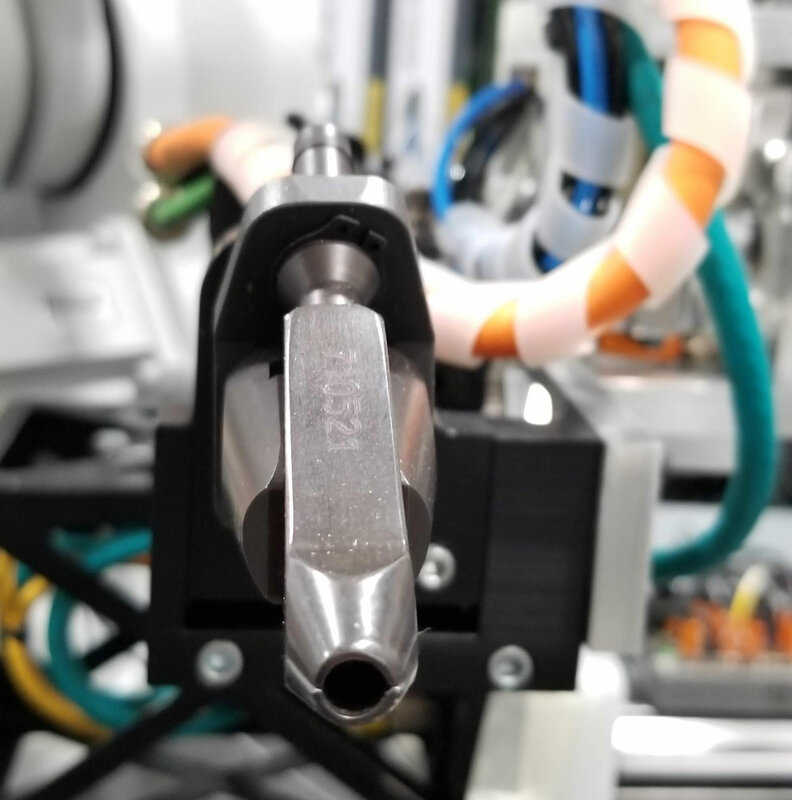 This breakthrough in system automation from GED leverages robotic technology for an efficient, higher quality fourth corner gas fill, close, and seal process. “GED leads the industry with software and automation systems integration and has so for several decades,” states Bill Weaver, CEO of GED. 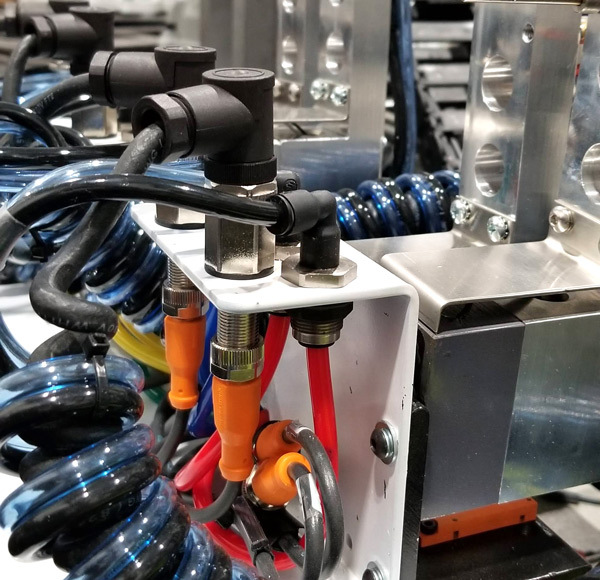 “RoboSeal is continuing this tradition by giving our customers a more consistent and high quality IGU, while also producing them more efficiently and with more throughput then any other system available,” continues Weaver. 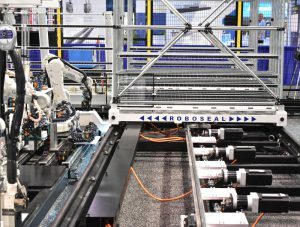 The first fully automated, robotic gas fill, close and seal system in the industry, RoboSeal efficiently finishes the assembly process of both double and triple pane Intercept® insulating glass units (IIGU) at an astounding rate of 6 double pane IGUs per minute and 3 triple panes per minute and handles IIGUs up to 72” by 100” with glass as thick as 6mm. RoboSeal utilizes three robotic stations. IIGUs that have been oven-pressed and cooled on a vertical conveyor are conveyor fed onto a RoboSeal cart. At Station 1 (Gas Fill) the onboard vision system identifies the center of the gas fill hole, the robot inserts a probe to confirm the hole is clear of obstruction, then docks the gas lance carriage to the cart to initiate gas fill. The robot at Station 2 (Close) removes the gas lance then inserts then closes the hole by inserting a custom designed fastener. The cart moves to Station 3 (Seal) where the robot preconditions the spacer and seals the 4th corner. Direct feedback controls at each robot ensure the perfect fill level, fastener torque, and seal application. The end result is a high quality, consistent, automated fourth corner sealing process. RoboSeal™ continues the tradition of GED “Robo” products by providing users with precision, quality, accuracy and speed of manufacturing. “In thinking about how robotic technology is being utilized, its really a benefit for our customers taking similar products and controls and adding to the automation story at their factory,” said Executive Vice President of Engineering and R&D, Tim McGlinchy. “They are leveraging GED’s expertise that we have developed over the years,” he concluded. Harness this new GED technology to reduce overall operating costs and maintenance, improve operation safety, and bring consistency to your IG production floor. 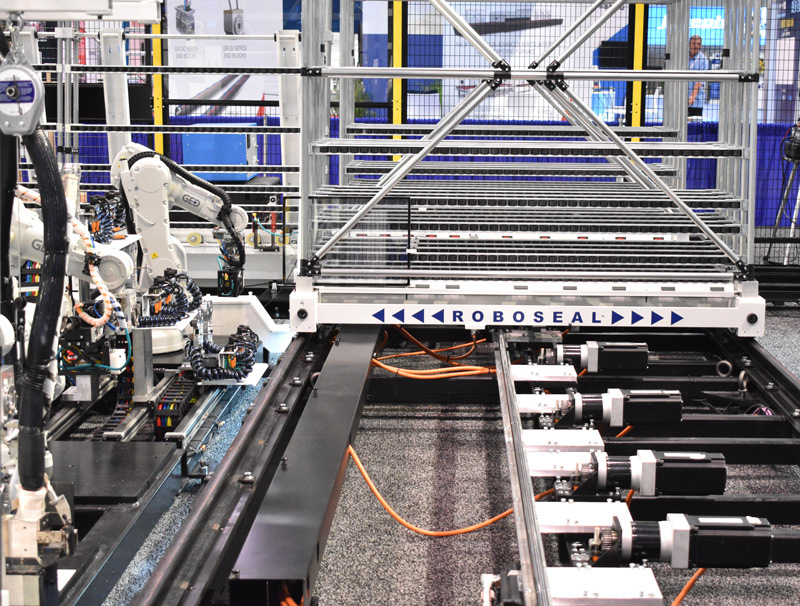 GED will have hourly demonstrations of the new RoboSeal system at GlassBuild America 2018. Make sure to stop by to observe the speed and precision of GED’s newest robotic system.